Tax, Title and Tags not included in vehicle prices shown and must be paid by the purchaser. While great effort is made to ensure the accuracy of the information on this site, errors do occur so please verify information with a customer service rep. 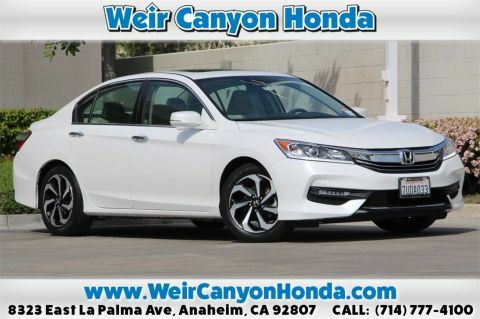 This is easily done by calling us at 714-660-2687 or by visiting us at the dealership. *Not all images are of the actual vehicle. 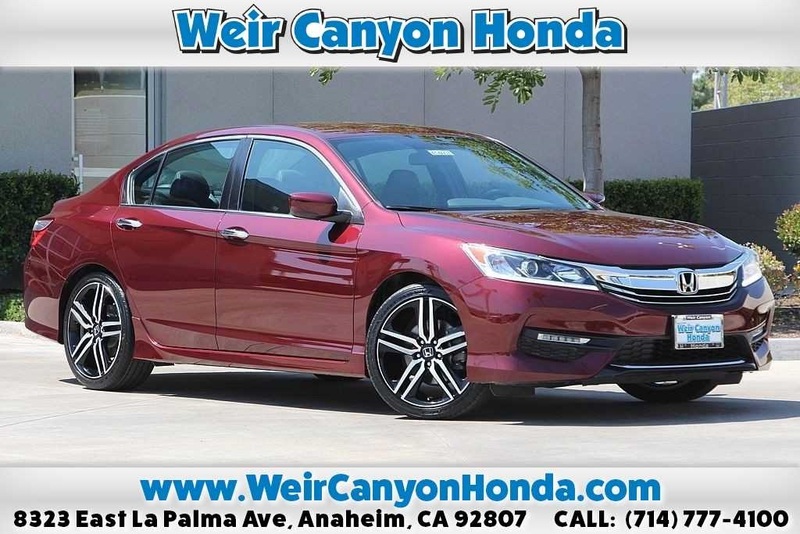 We display both stock and actual vehicle images. New Price! CARFAX One-Owner. Clean CARFAX. Certified. 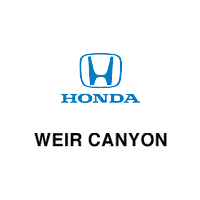 Sport All services completed by Weir Canyon Honda, Every Pre-Owned Vehicle Comes With A Full Tank Of GAS! 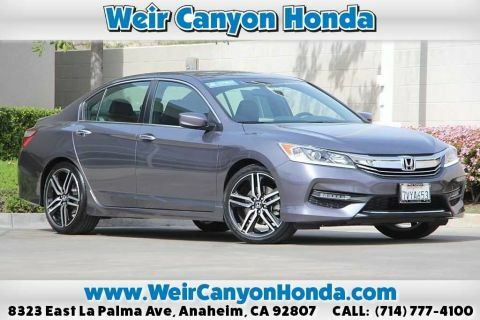 !, Honda Certified 7Year 100k, Local Car One Owner Clean Car Fax, New Oil & Filter, Non Smoker, 4 New Matching Tires, Security Package, Trim Package, Value Package, Power Package, Power Mirror Package, Popular Equipment Package, Alloy Wheels, Backup Camera, Bluetooth, Sport Package, Black w/Cloth Seat Trim, Alloy wheels, Brake assist, Cloth Seat Trim, Delay-off headlights, Driver door bin, Driver vanity mirror, Electronic Stability Control, Exterior Parking Camera Rear, Front Bucket Seats, Front Center Armrest, Front fog lights, Front reading lights, Fully automatic headlights, Illuminated entry, Outside temperature display, Overhead console, Panic alarm, Passenger door bin, Passenger vanity mirror, Power door mirrors, Rear seat center armrest, Security system, Speed-Sensitive Wipers, Split folding rear seat, Spoiler, Tachometer, Telescoping steering wheel, Tilt steering wheel, Trip computer, Variably intermittent wipers. 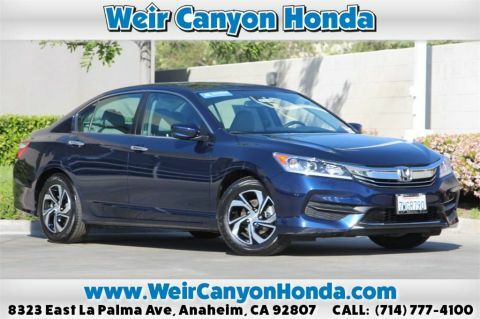 Every Pre-Owned Vehicle Comes With A Full Tank Of GAS! !